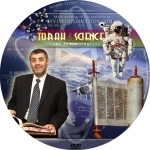 Watch the Torah and Science video by Rabbi Mizrachi. In the first part of three parts, Rabbi Yosef Mizrachi will show us how we can determine if the Torah was given by G-d to the Jews. This is a crucial point, for if we are looking to find the answer to questions like “is there a Creator”, “what is the meaning of life”, “what happens after death” and more, we must be able to verify that the Torah is in fact divine. The Jews, known as the People of the Book, are known as the Chosen People who were given the Torah. The Torah’s written part has been translated into many languages and its oral part has been passed on from Moses on Mount Sinai to our current generation. The Torah is a manual of instructions for Jews and Gentiles of how to live, but how do we know that it holds the truth? So much time has passed since the Torah was supposedly given to the Jewish Nation after they left Egypt. 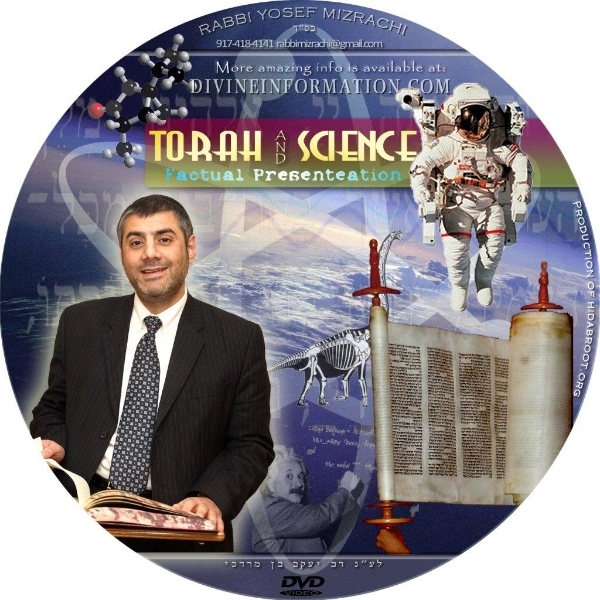 Rabbi Mizrachi shows us how we know that the Torah is truly from G-d by using logic and science. A divine book cannot have human errors and the Torah does not have any human errors! Rabbi Mizrachi drives home the point that the Torah is full of commandments that we cannot logically understand and this is in itself a proof that the Torah could not be the work of man. Simple logic leads us to the conclusion that a person wanting to start a new religion would not implement such strange rules, since no one would be interested in accepting them. Yet, the Jewish people accepted the Torah, which meant for example that they had to make serious changes in their lives — such as getting divorced from their wives when they had married an aunt. Family dynamics had to change radically because of the Torah’s values, so we can deduce that the Jews understood that this was not the invention of Moses but a divine body of law. The Torah explains what will happen to the Jews long after it was given, both in a straight forward way and in hidden ways which we have been able to decipher in modern times using advanced computer programs. If you want to know, how to interpret these words of the Torah, you need to watch this video, Torah and Science, and let this knowledge transform your life so that you can understand what you are doing in this world and what the purpose of your life is!